Ok, I’m finally going to write a DIY post- I know, it’s been a little while. 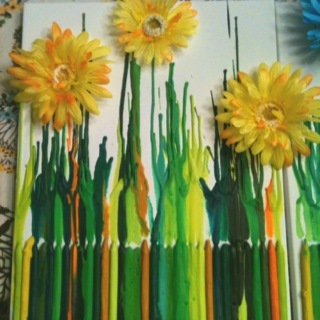 So has anyone seen the crayon art kicking around Pinterest lately? When I first saw that I was like “I can do that!! It’d be so fun in a kid’s room!! Oh wait, we don’t have kids. Hmmm.” Then I saw this one, and thought it’d be a different twist, plus something I could hang in a guest room. 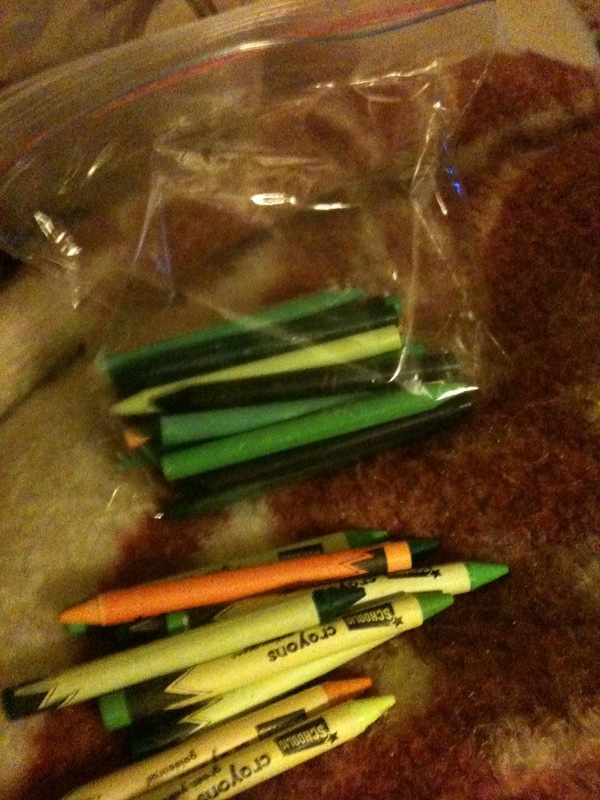 I then spent the next 4 years hours peeling the labels off my crayons. I really didn’t care for the labels being on the crayons, and since it’s a guest room, I didn’t want it to look too childish. This was quite a bit of work, but worth it in the end, I think. After I finished peeling, I lined up my crayons along the bottom of my canvases, in a random assortment of colors, and hot glued them all down. (Leave it to me to once again not take “during” photos…sigh). Then I took them outside and used my blow dryer to make them melt! I found out that the higher the speed, the more the wax spatters on your canvas, so go slow when applying heat to your crayons. And you have to hold your hair dryer pretty close to the crayons to get them to melt. 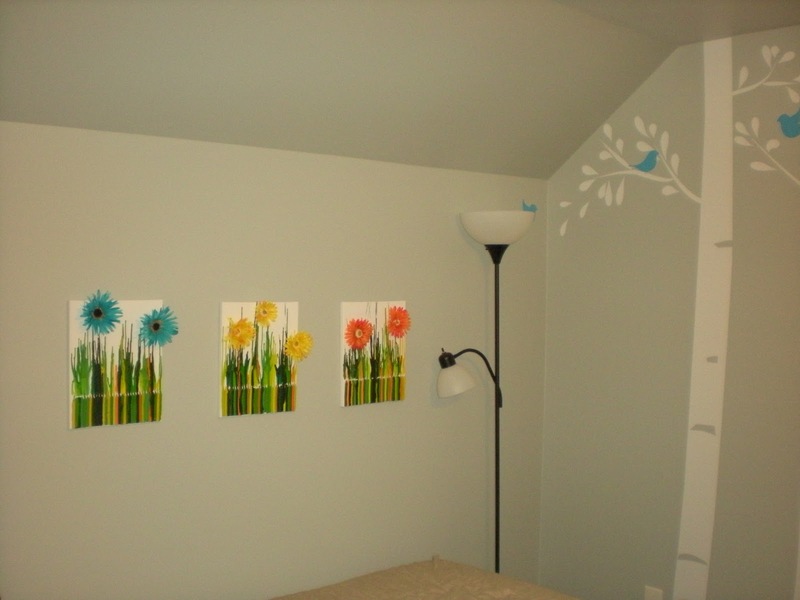 After I was done melting, I just popped the flowers off the stems and glued them onto the canvases. Want to see the finished product? What do you think? 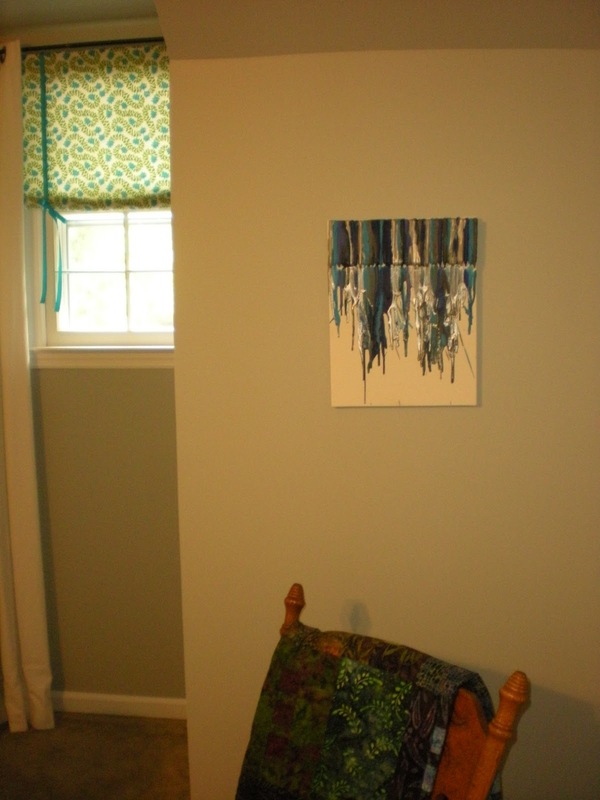 I thought it was a fun, easy, relatively cheap project- under $30 for 4 pieces of art for that room. Plus hours of endless entertainment peeling crayons right? Haha. Has anyone else out there attempted their version?